Additional Low Radiation handsets can only be used with either our Orchid LR4610 or LR4620T Low Radiation base stations. Our base stations can accommodate up to six handsets. Dynamic Range Reduction when handset is close to base station during conversation (reduces power output by as much as 75%). 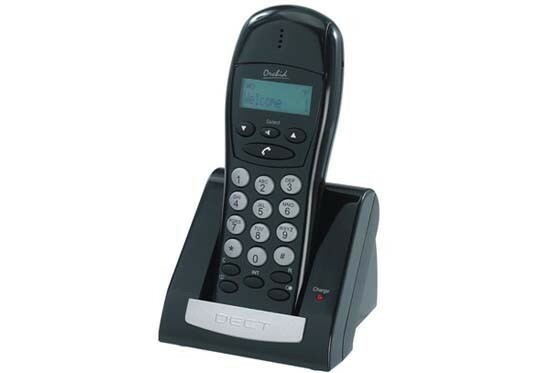 Caller ID - If you have a ‘Caller ID’ service from your phone company the handset will display the number the calling party on the phone’s LCD screen. Selectable polyphonic multiple ring tones. 12 digit dot matrix display with backlight. Out of range and low battery warning. Up to 100 hours of battery life on standby and up to 10 hours of talk time. Maximum range up to 300 meters from base station.